MIDDLEBURY, Conn., April 16, 2019 /CNW/ -- For the last 165 years, Timex, a global leader in watchmaking, has been inspired by the dreams, aspirations and beauty of the United States. Timex democratized timepieces in 1854 with the first clock any working family could afford. Today, Timex is bringing its craft home again to its headquarters in Middlebury, Connecticut with American Documents. The collection of American-made watches features a Swiss movement to combine American innovation and craftmanship with European precision. Timex is proud to introduce American Documents, a new collection made by American craftsmen with American materials and a high-quality Swiss movement. The collection features four watches, assembled by hand in Middlebury, Connecticut, that celebrate the American landscapes, landmarks, communities and cultures that inspired its creation. The Timex American Documents collection embodies the craft of fine watchmaking from rich leather straps made with American cowhides from Minnesota to an “Aged Waterbury Brass” case back coin and crown insert to honor Timex’s original headquarters in Waterbury, Connecticut. 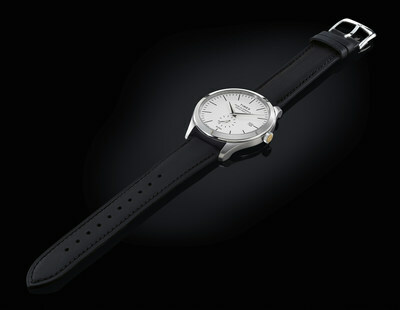 The American Documents collection retails for $495.00 and is available at Timex.com. The first series of the collection features four watches, assembled by hand in Middlebury, Connecticut, that celebrate the American landscapes, landmarks, communities and cultures that inspired its creation. 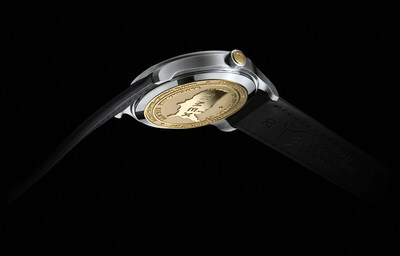 From rich leather straps made with American cowhides from Minnesota to an "Aged Waterbury Brass" case back coin and crown insert to honor Timex's original headquarters in Waterbury, Connecticut, American Documents timepieces embody the craft of fine watchmaking. Using a combination of modern proprietary and traditional techniques, Timex watchmakers craft small batches of American Documents daily using America's finest materials. Sparing no detail, whether it be brass inserts forged and stamped in New England or impact-resistant Gorilla® Glass 3 made-in-Massachusetts, American Documents symbolizes American ingenuity. "The American Documents collection is about so much more than great-looking timepieces – it's about capturing the spirit of what it means to be American-made," said Tobias Reiss-Schmidt, CEO of Timex Group. "Being American-made means the ability to endure, grow, reinvent, evolve. In this collection, we selected partners who are experts in their individual fields and evolved their expertise to fit within the confines of a timepiece to honor brands like ours that embody and celebrate American craftsmanship." To celebrate the launch, Timex partnered with photographer Bryan Schutmaat to chronicle the people, culture and diverse landscapes of America to demonstrate what unites us, separates us and what makes us truly exceptional. With travels beginning in the Northeast, the home of American watchmaking, through Texas, across the desert and ultimately arriving in the Rocky Mountains of Montana, Schutmaat created a stunning visual diary of our homeland's landscapes, capturing the spirit of what makes American Documents truly unique. "There's a sense of possibility that comes from the vastness of this country," says Schutmaat. "I wanted to capture the timelessness of our landscape to convey the spaces that bring us and our culture together, because American Documents, and every component of it, honors the beauty of our nation." The purchase of each American Documents watch includes access to a downloadable high-resolution image from the American Documents Gallery, shot by Bryan Schutmaat. The image download is suitable for high-quality printing for personal use. Each watch arrives in a solid cherry wood case that is hand rubbed to a natural finish. An inlaid magnetic closure and brass hinges secure the custom setting for the rare occasions that the watch is not being worn. American Documents retails for $495.00 and is available for purchase in the U.S. at Timex.com and the Timex flagship store in Tokyo, Japan, with additional global markets to follow. For more information, and to view the American Documents photography collection, visit timex.com/americandocuments.